The occurrence of teeth at the time of birth is called natal teeth. The incidence of this anomaly has been approximately 1:1400 to 1:3500 live births. Most commonly seen in mandibular primary central incisor region and usually occur in pairs. The present case scenario describes about the management of natal teeth in a seven day old new born baby and also the role of paediatric dentist in its management as well as guidance for medical practitioners and parents. 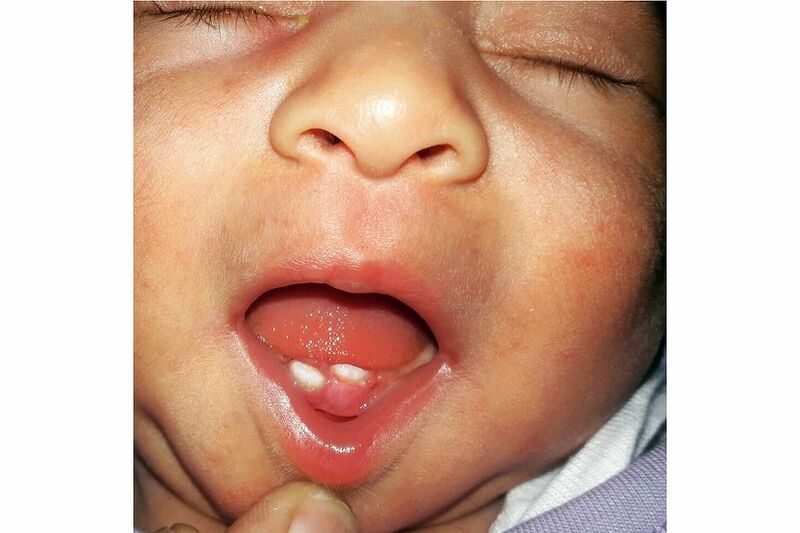 Natal teeth are teeth which present at the time of birth. Mandibular lower centrals are most commonly affected teeth with a frequency of one case in 1400-3500. Many synonyms have been proposed such as congenital teeth, fetal teeth, predeciduous teeth, and precocious dentition. However, the current terminology ‘Natal teeth’ proposed by Massler and Savara, although this term only defines about the time of eruption and no consideration to anatomy or histology.